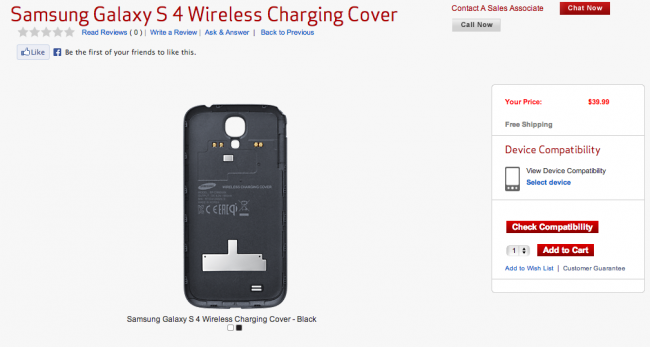 Over the weekend, the wireless charging covers for the Samsung Galaxy S4 went on sale in a number of Verizon stores for $39.99, but remained absent from their online shop. This morning, that changed. You can find both the white and black wireless charging covers through VZW.com for the same price, should the Qi lifestyle interest you. Keep in mind that you’ll also need some sort of wireless charging pad, which typically start at around $40. So yes, to be a wireless machine, you need to be ready to fork out at least $80.